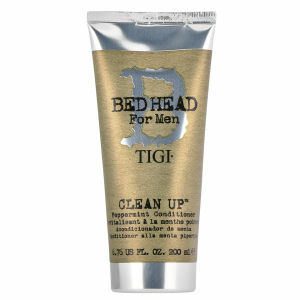 Treat your hair to an invigorating experience with the TIGI Bedhead for Men Clean Up Peppermint Conditioner. It conditions while it soothes irritations with its menthol induced cooling sensation. 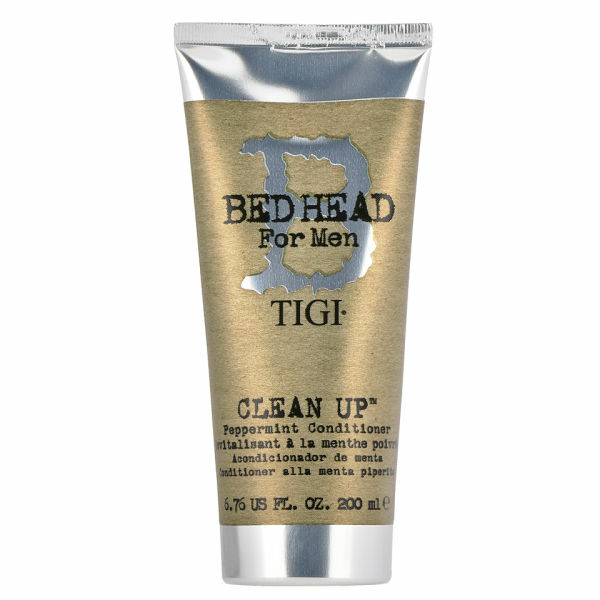 Your hair will be protected from free radical damage by Vitamins E, C & B7 and it will regain its health. For more volume, wheat & soy proteins bind to every single hair, leaving it with a fresh and aromatic basil and mint scent. Directions for use: Massage thoroughly into hair & scalp and rinse.